Named for the trail-blazing architect Dame Zaha Mohammad Hadid, the Zaha earring is itself an architectural accomplishment. This super-versatile pair can be worn three ways: as studs, as a long cocktail earring, or as a necklace charm. We’re partial to the Zaha in Green, but the Black and Red Onyx versions are stunners as well. We love that $20 from every purchase of the Zaha earring helps feed 100 children in India. …a night out, pair the Alessandra necklace with your favorite little black dress for a dazzling new look. This sterling silver scene-stealer features drops of Green Quartz, which some say attracts success, prosperity and abundance. Now that’s what we call an investment piece. 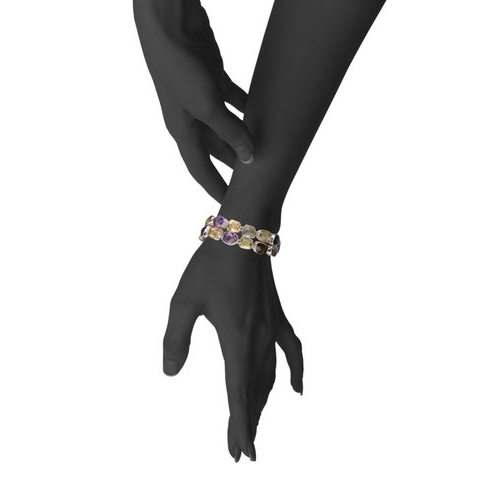 Finally, show your wrist some love with the Marianne bracelet. 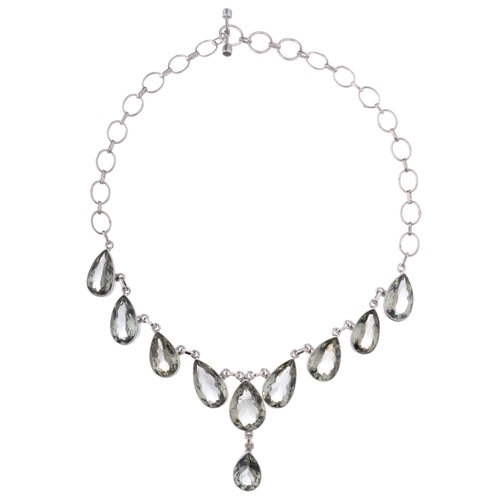 The one-of-a-kind design features brilliant Amethyst, Citrine, Praseolite and Smokey Quartz. Rock on!